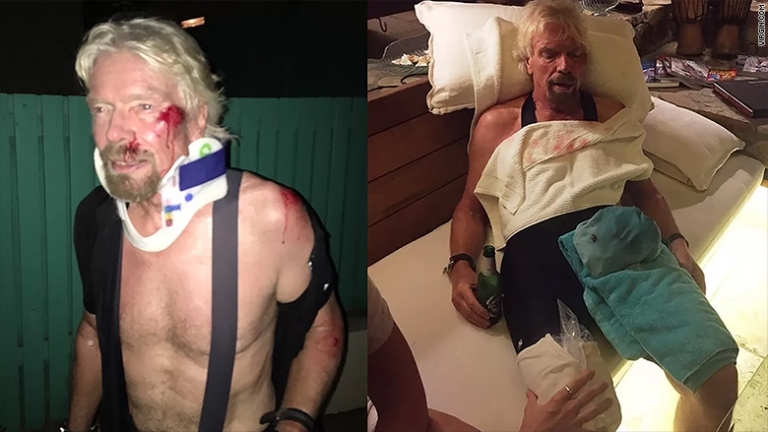 Billionaire Richard Branson had a harrowing accident while cycling in the Virgin Islands. 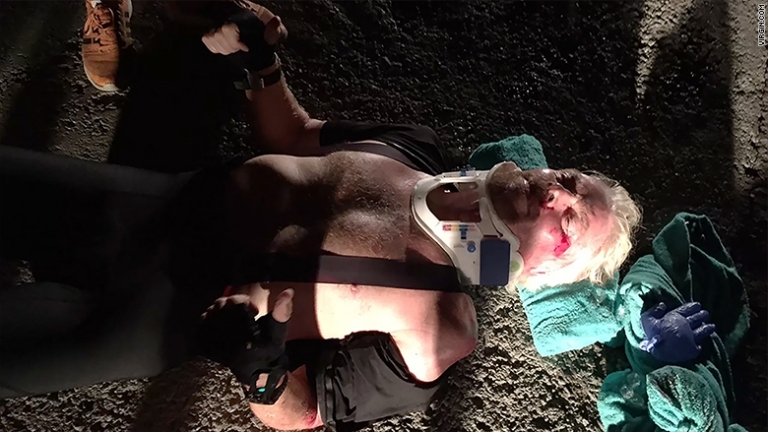 Branson was heading down a hill when he hit a hump in the road and set him flying. "I really thought I was going to die. Fortunately my shoulder and cheek took the brunt of the impact, and I was wearing a helmet that saved my life." Richard Branson is the man behind Virgin Group which includes Virgin Galactic and Virgin America.